Two of our beloved and transformational World Spirituality heart and wisdom masters and teachers will merge their gifts to help you unfold your own secret heart-tantra. 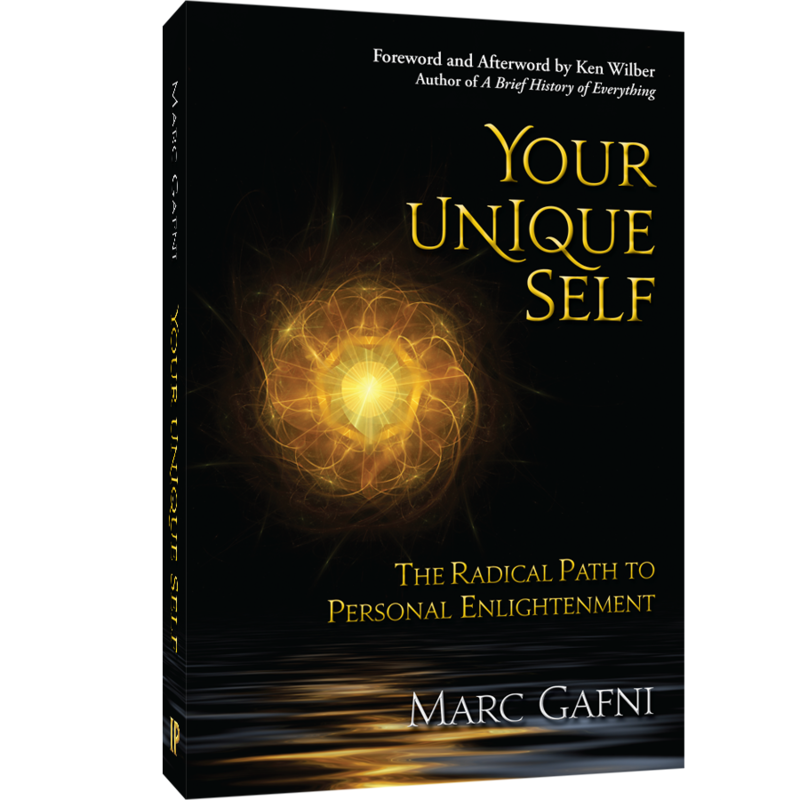 Awakened Heart meditation teacher and author Sally Kempton joins Dr. Marc Gafni, Unique Self author and Kabbalistic lineage holder, for this ecstatic and unique offering at Esalen. Last year, we were joined by many outrageous lovers, some seeking expression for the divine through their primary love partnerships and some seeking to deepen their own heart mysteries for themselves. 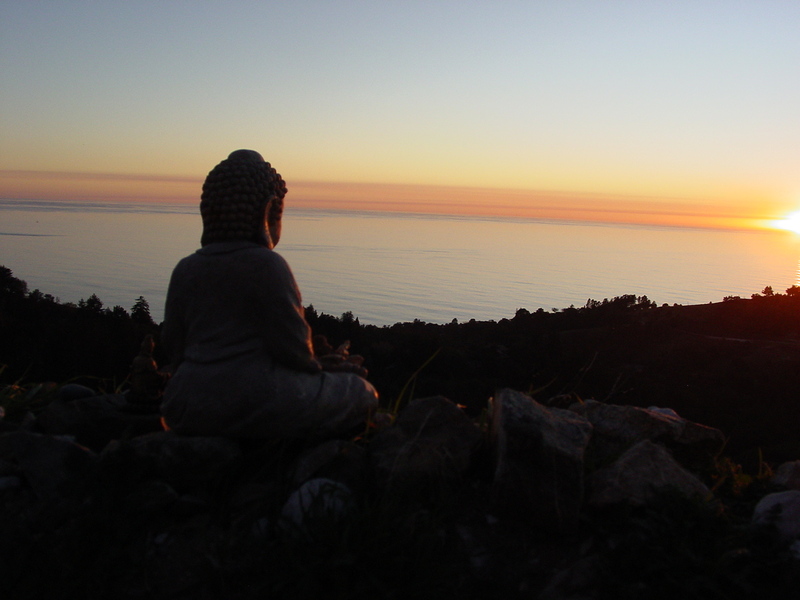 Esalen is situated on the breathtaking Pacific Coast, and the organic, healthy offerings there will rejuvenate your body, heart, spirit, and soul as you fall in love with the Divine and awaken to your soul’s destiny. 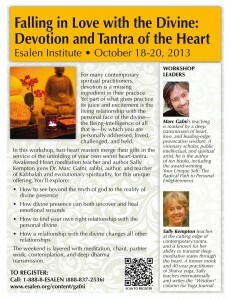 Register soon for this wonderful retreat/workshop before it fills up! 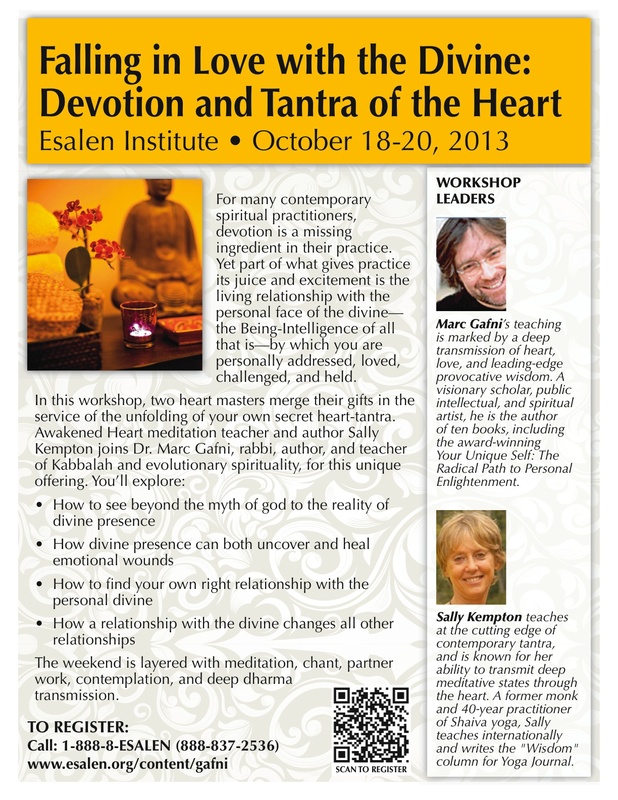 Click here to download a .pdf copy of the event flier for “Falling in Love with the Divine: Devotion and Tantra of the Heart,” Oct. 18-20, 2013. 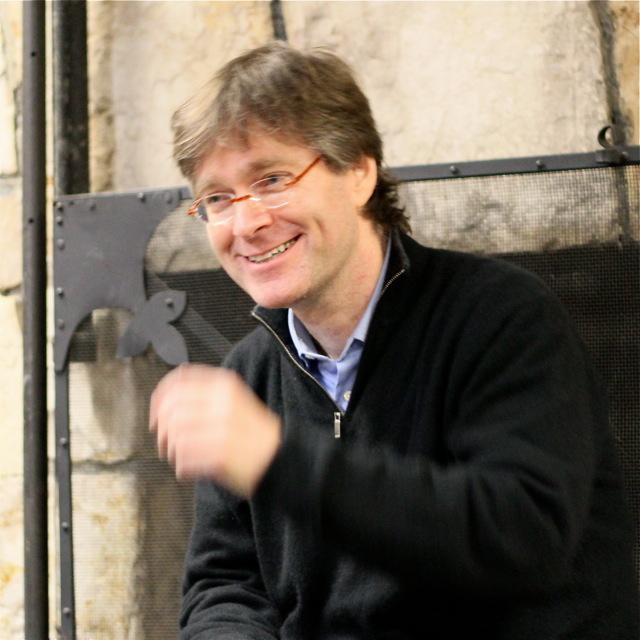 Dr. Marc Gafni‘s teaching is marked by a deep transmission of heart, love, and leading-edge provocative wisdom. A visionary scholar, public intellectual, and spiritual artist, he is the author of ten books, including the award-winning Your Unique Self: The Radical Path to Personal Enlightenment. Sally Kempton teaches at the cutting edge of contemporary tantra, and is known for her ability to transmit deep meditative states through the heart. A former monk and 40-year practitioner of Shaiva yoga, Sally teaches internationally and writes the “Wisdom” column for Yoga Journal.